Could a substance derived from bottom-feeding prehistoric fish revolutionize battleship armor? US Navy scientists are betting on yes, pointing to the artificially re-created hagfish slime as the next frontier in maritime protection. 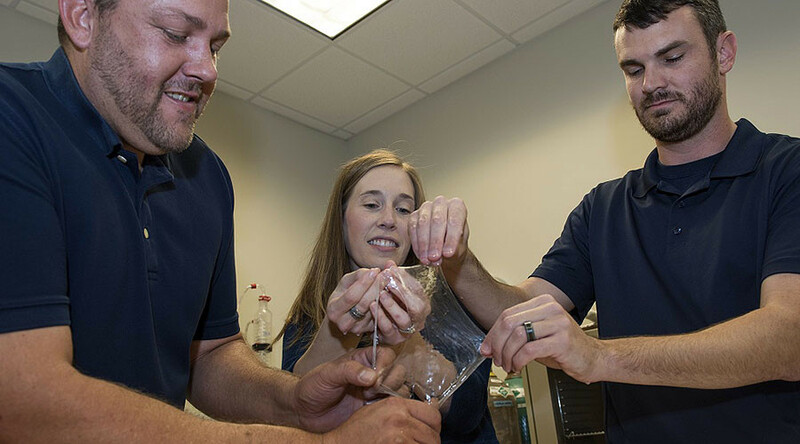 Working at the US Naval Surface Warfare Center in Panama City, Florida, biochemist Dr. Josh Kogot and materials engineer Dr. Ryan Kincer have developed a synthetic biomaterial by recreating the slime of the Pacific hagfish (Eptatretus stoutii) in a lab. Kogot and Kincer developed the new biomaterial from the thread and the mucin of the natural hagfish slime. They grew the proteins inside the E.coli bacteria, harvesting them later through purification procedures. “The coiled up thread behaves like a spring and quickly unravels upon contact with water due to stored energy,” Kincer explained. Interaction between the thread, mucin and seawater creates a three-dimensional, elastic lattice. According to Kogot, the slime’s mechanical properties are comparable to Kevlar, the synthetic material used in body armor. Like spider silk, it is considered a renewable natural material with the potential to replace oil-based plastics.